Paragon Hard Disk Manager is a cutting-edge all-in-one solution for data management that provides a set of powerful tools that is specially designed to tackle most of the problems you might face while using PC. Its functionality covers all aspects of a computer life cycle beginning from carrying out all the necessary partitioning operations to install the system from scratch and providing its data reliable protection to secure utilization of an outdated hard disk. Paragon Hard Disk Manager handles your backup tasks automatically - from backing up the entire system, individual partitions or just selected files. Incremental and differential backup technologies make continuous system backups exceptionally efficient. Paragon Hard Disk Manager also feature a high-performance partitioning engine that can handle any hard disk partitioning task and help to make optimal use of the available hard disk space. Thanks to automatic partition alignment you can always get top performance out of SSDs and hard disks with 4-K sectors and RAID volumes. 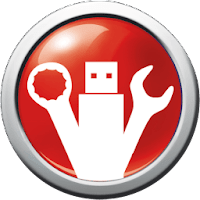 Disclaimer: Direct downloads for the lastest version of Paragon Hard Disk Manager 15 10.1.25.813 are provided by the official software's author, we can't guarantee safety, availability or download speed. Moreover, we don't and we won't provide any pirated/illegal versions or tools. We recommend you to avoid it as these methods can harm your device. If you like the software, buy it to support the developers. (We provide software discounts for many worldwide brands).